At Scott Fraser & Munro Dental Practice, we take pride in being a welcoming family practice, making each patient feel like an individual, and ensuring that they are comfortable during every visit to us. 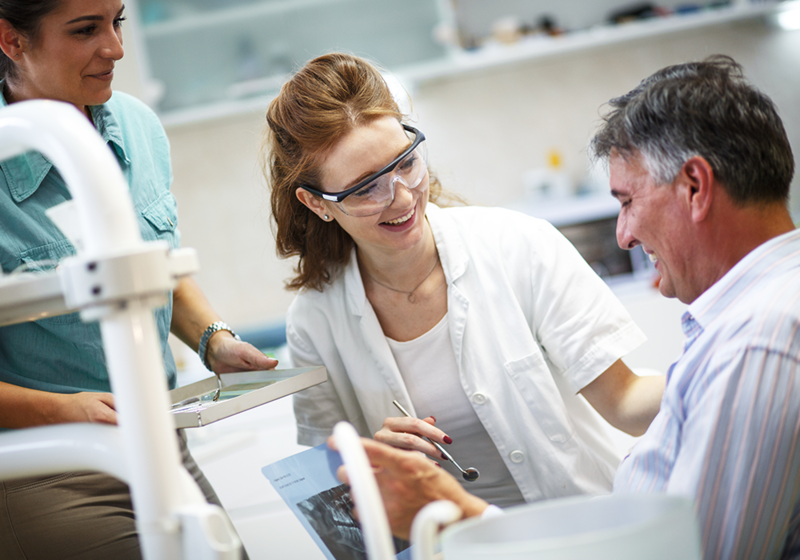 Our aim is for each patient to come away, not only with the perfect smile, but also the knowledge and understanding of the service that they are receiving. We acknowledge that every patient and their oral health is completely unique, which is why it is of utmost importance for us to treat every person with this ethos in mind. We are proud to offer a wide range of general and cosmetic dental treatments, including veneers and teeth whitening treatment (and lots in between!). We also offer both private and NHS treatment options. Our friendly and welcoming team would be delighted to discuss your needs and requirements, as well as the best treatments available to help future proof your smile. We are proud to have shortlisted for the Practice of the Year Award at the Scottish Dental Awards 2017. It was an honour to be recognised for such a prestigious award. For further information about our fantastic dental practice, why not give our reception team a call on 01382 612262. Scott Fraser & Munro Dental Practice is currently accepting new NHS and private patients. For more information or to register with us, we would be delighted to help, just call us on 01382 612262. Formerly known as Scott Fraser & Associates, the practice is now part of the Clyde Munro family of dental practices. 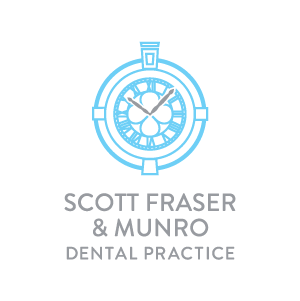 The new practice name is now Scott Fraser & Munro Dental Practice. Louise graduated from Dundee Dental Hospital in 2007.She joined our team in January 2019 and is looking forward to sharing her experience in the Practice. In her spare time she enjoys travelling, and walking her dog. Conor qualified in 2016 from University of Dundee. In his spare time he enjoys golfing, and travelling with friends. Conor qualified in 2016 from University of Dundee and completed his vocational training at Laws Dental in Carnoustie. In his spare time, Conor enjoys playing football and the guitar. Aisling graduated from the Dundee Dental school in 1997 and began her facial aesthetic career in 2010. Aisling completed her clinical training in facial aesthetics at RE-NU training academy in Dundee which was voted the 2017 winner of ‘best training academy’ at the Glasgow Herald Look Awards. Aisling was one of the first practitioners in Scotland to be awarded the quality assurance mark from the regulatory body IHAS for facial aesthetics. Aisling is highly skilled when it comes to facial aesthetics and is committed to continual education in the field; attending regular masterclasses given by the industry leaders. Aisling is currently involved in the creation of a facial aesthetic support group in Tayside as well as the development of a new training academy in the East of Scotland. Her passion and enthusiasm for her work has also seen her featured in Scottish Dental Magazines Who’s Who in Scottish Dentistry 2017 as well as the Scottish Dentist Executive Guide 2017. Linzi joined the team as a Trainee Dental Nurse in 2008 and qualified in 2009. She spends her free time with her friends and family and caring for her cat and dog. Vicki has been part of the team since 2010 and qualified as a Dental Nurse in 2012. Outside of the practice, she enjoys socialising with her friends and family, and likes to keep fit. Nikki joined our team in 2018 and is working towards achieving her SVQ in Dental Nursing. In her spare time she enjoys going out and spending time with her daughter. Marie qualified as a Dental Nurse in 1997 and has worked in the practice for the past 12years. She achieved her Childsmile qualification in 2012. Outside of dentistry, Marie enjoys baking, which she often shares with the rest of the team, and spending time travelling with her husband and son. Caitlin has been working in the practice since 2015 and achieved her Dental Nurse qualification in 2016. She spends her free time socialising with her friends and keeping fit at the gym. We are situated on Lochee High Street in Dundee. The practice is easily accessible. Although we do not have a car park at the practice, there is parking facilities nearby, as well as on-street parking. Grays Lane, which can be accessed by the following buses: 9, 9A, 9C, 9S, 23, 23A, 28, 29, 57, 59). The practice is also situated just a ten-minute drive from Dundee train station.